do you have one product that instantly makes you happy? one that you treat yourself to after a pretty hard week or if you achieved something? 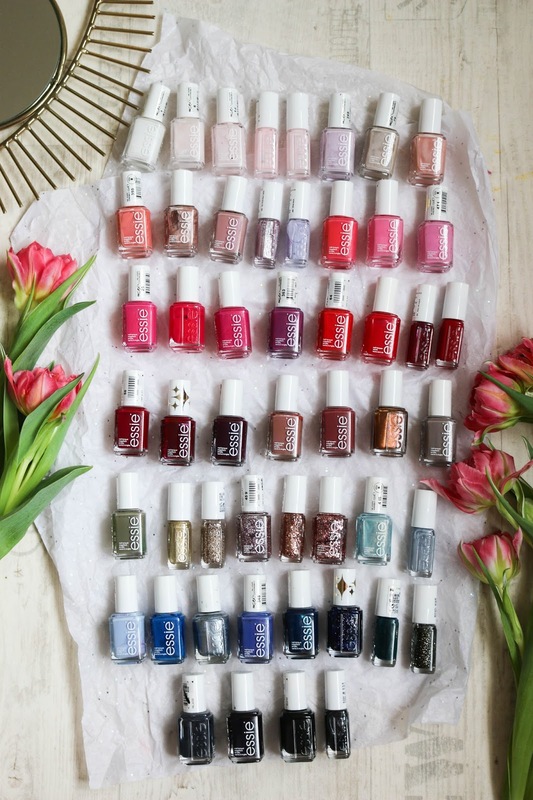 to me, that’s Essie nail polishes. something about the little bottles with the white lids just gets me. they are the perfect little treat and never disappoint me. the colour selection is amazing and no formula works better for me. despite getting my nails done professionally, I still paint them myself and I love doing it. over the years I managed to collect quite a few of them and my collection keeps on growing. so in today’s post, after the past weeks seemed to be super busy, I thought I would share my collection with you, in hopes that I finally manage to get my blog schedule back. 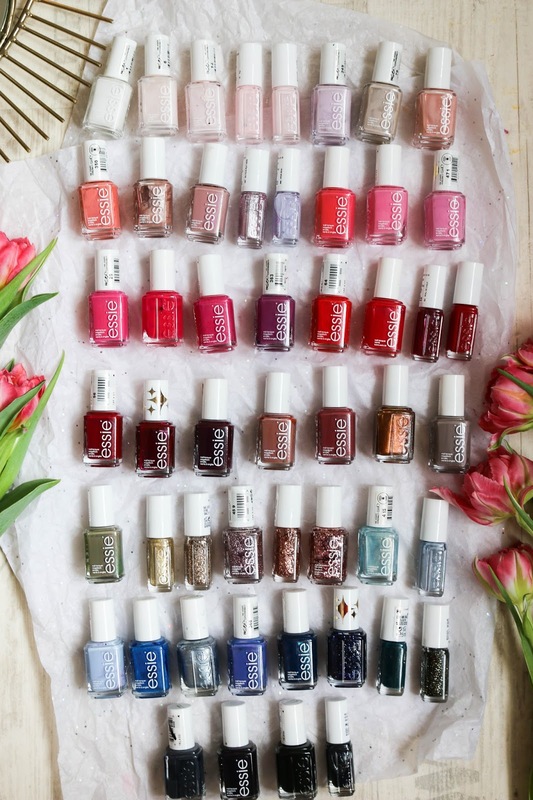 whats your favourite Essie nail polish? whats the one beauty item that instantly brightens your day?